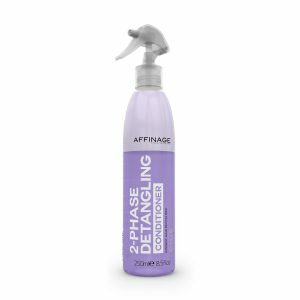 This leave-in detangling conditioner smoothes the cuticle & removes static, leaving hair soft, shiny & in control. Simply shake well to blend the ingredients & spray in. Works wonders on curly, frizzy or straight hair, providing incredible shine without build-up. 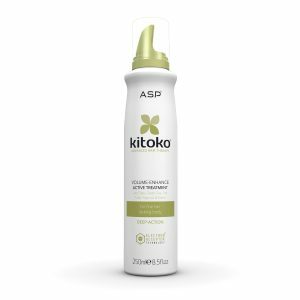 Perfect for use as a cutting spray & ideal for detangling children’s hair. 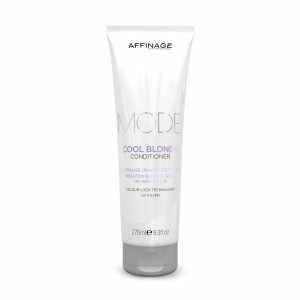 Instantly softens & smoothes the hair, making combing through quick & easy. 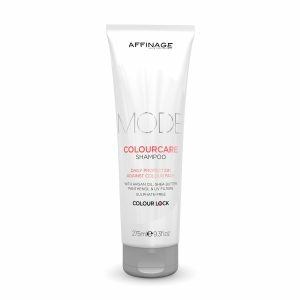 Helps to detangle, repair & rejuvenate colour treated hair without adding weight. This daily moisturising conditioner works to fortify the hair, adding elasticity & intensifying shine for the most vibrant colour possible. Advanced Colour Lock Technology & UV filters actively help to protect against colour fade. 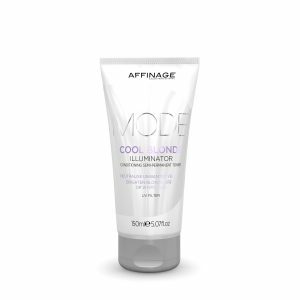 INSTANT HYDRATION FOR DRY, DULL HAIR. 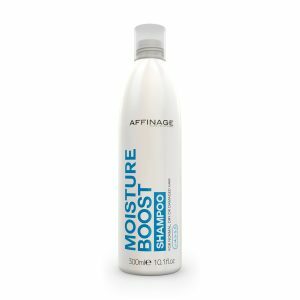 Actively moisturises & nourishes the hair, leaving it soft, smooth & supple. 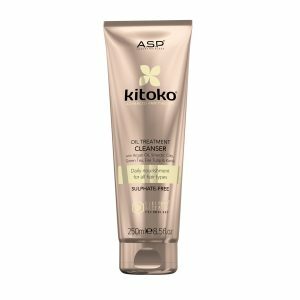 Lightweight formula with Vitamin B5 (Panthenol) strengthens, detangles & adds incredible shine without weight, making it ideal for daily use. 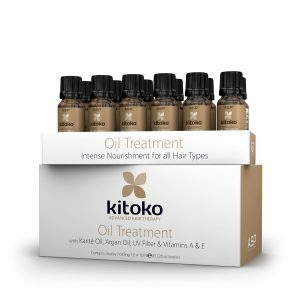 Kitoko® Oil Treatment Balm blends specific natural African plant extracts with our unique Electron Acceptor Technology®. 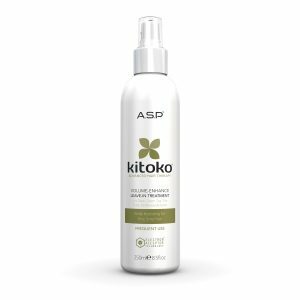 This nourishing, frequent-use conditioner uses Argan Oil, Karite, Tamarind and NMF to replenish the hair and scalp, restoring strength and elasticity. Green Tea, Fire Tulip and Vitamins A & E act as powerful anti-oxidants. Hair is left smooth, radiant and tangle-free. • Leaves the hair thicker, strengthened, moisturised & rejuvenated. • With Blue Lotus to help stimulate circulation. • Smectic Clay gently removes impurities from the hair. 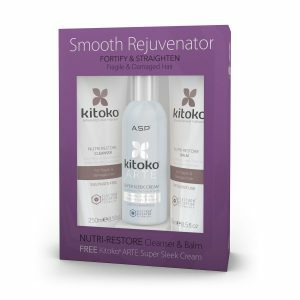 • Helps to restore strength & reduce breakage leaving the hair thicker, softer, radiant & revitalised. • Tamarind extract protects, nourishes & repairs the hair. 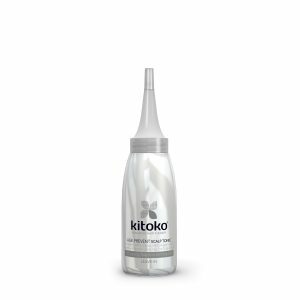 Kitoko® Oil Treatment Cleanser blends specific natural African plant extracts with our unique Electron Acceptor Technology®. 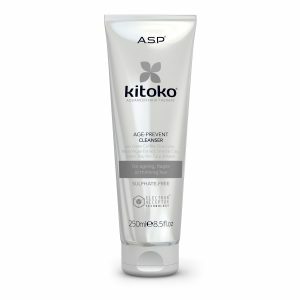 This daily cleanser uses Argan Oil, Karite and NMF to nourish the hair and hydrate the scalp. • Leaves the hair thicker, strengthened, moisturised & rejuvenated. • With Blue Lotus to help stimulate circulation. • Smectic Clay gently removes impurities from the hair. 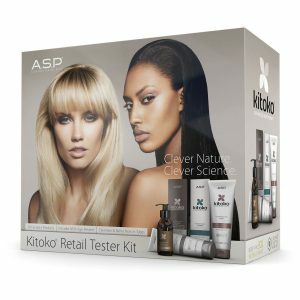 An intense deep treatment for colour treated hair. Nourishing, antioxidant-rich Shea Butter, Argan Oil and Panthenol repair and rejuvenate the hair, whilst a special conditioning agent boosts hydration, smoothness and brightness. 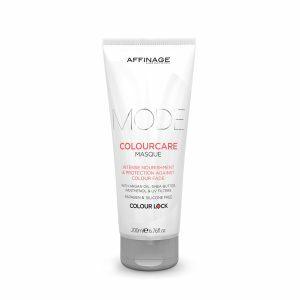 Advanced Colour Lock Technology & UV filters help keep colour vibrant, actively protecting against fade. 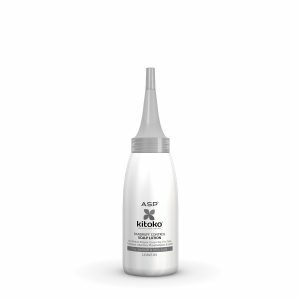 Hair is left strengthened, silky smooth and visibly renewed. The perfect way to cleanse, hydrate & protect colour treated hair. This gentle sulphate-free, daily shampoo adds strength, elasticity & incredible shine whilst helping to extend colour life. UV filters help protect colour against the environment. Revitalise lacklustre locks with this sulphate-free toning shampoo. The gentle, low pH formula removes impurities while violet colour pigments neutralise unwanted yellow tones & protect against brassiness. 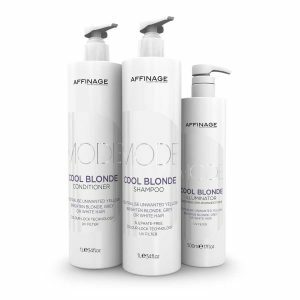 Cool Blonde Shampoo intensifies shine, brightens blondes & adds a hint of silver to enhance white or greying hair. The Nutri-Restore regime rejuvenates & strengthens fragile, damaged & chemically treated hair, leaving it beautifully restored & protected from further harm. 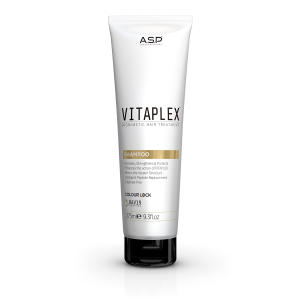 Vitaplex Shampoo has been specially developed to enhance the effects of your Vitaplex service. 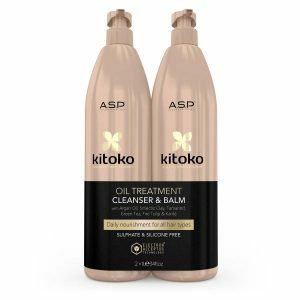 Formulated with RAV19 and nourishing Shea Butter, Argan Oil and Panthenol, this gentle sulphate-free, daily shampoo restores the hair, leaving it strong, supple and radiant. Colour Lock technology and UV filters help to extend colour life and protect against the environment. 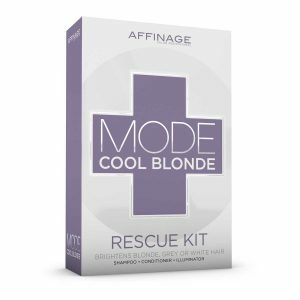 FIRST AID FOR COLOURED, HIGHLIGHTED OR PERMED HAIR. 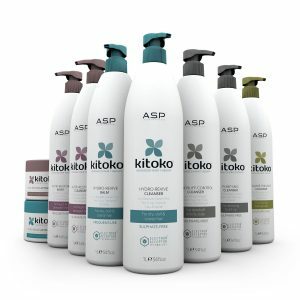 Nourishes & fortifies chemically treated & naturally fine, limp hair, infusing it with protein & Vitamin B5. Hair is left strengthened, beautifully conditioned & manageable with lasting body & shine. 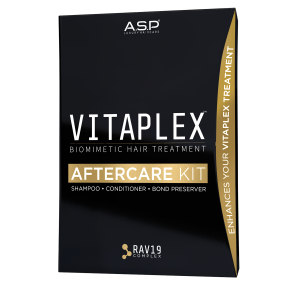 • Scalp active, leave-in treatment to rebalance & rehabilitate the scalp. • Enhanced with a higher concentration of Micro-Algae Extracts for maximum effectiveness. 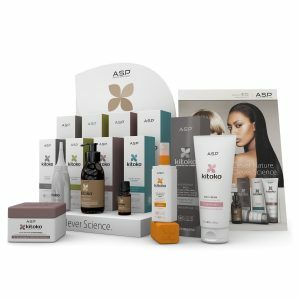 • Enriched with Boswellia & Allantoin to soothe & heal the scalp. • Can be used daily with Cleanser & Balm to further enhance effectiveness. The Hydro-Revive regime replenishes & moisturises dry, dull or coarse hair, leaving it soft, supple & beautifully radiant. Smectic Clay helps to gently remove impurities, whilst Green Tea, Fire Tulip and Vitamins A & E act as powerful anti-oxidants. Hair is left soft, shiny and manageable. 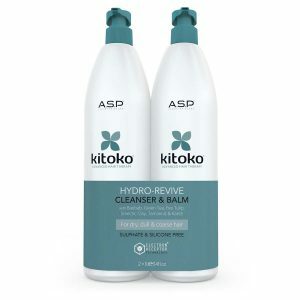 Lightweight, clarifying shampoo designed to gently remove environmental & product build-up, along with impurities such as swimming pool chlorine. Instantly revitalises dull, lifeless hair, leaving it purified, refreshed & healthy looking. 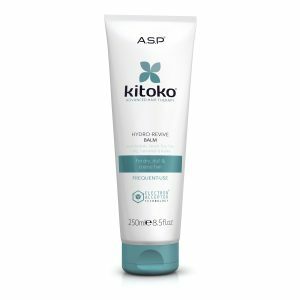 Menthol stimulates the scalp whilst Vitamin B5 (Panthenol) moisturises, strengthens & restores shine. THE PERFECT SOLUTION FOR DRY, DULL HAIR. Gently cleanses as it weightlessly moisturises the hair with Vitamin B5 (Panthenol), restoring strength & shine. Excellent for severely over processed hair, & hair damaged by heat appliances & the sun. INTENSE NOURISHMENT FOR ALL HAIR TYPES. Karité & Argan oils combine to repair, revitalise & strengthen, leaving hair weightlessly transformed, ultra-smooth & beautifully radiant. This nourishing, shine-inducing conditioner is enriched with violet colour pigments and special cationic ingredients to brighten & hydrate the hair, leaving it smooth, supple & energised with luminous shine. 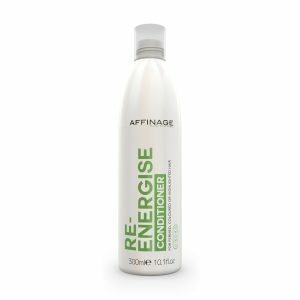 • Helps to restore strength & reduce breakage leaving the hair thicker, softer, radiant & revitalised. • Tamarind extract protects, nourishes & repairs the hair. BREATHE LIFE BACK INTO FRAGILE, DAMAGED HAIR. 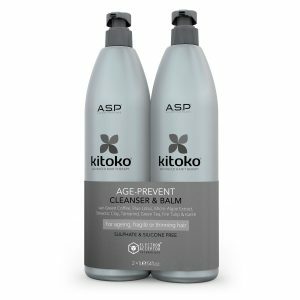 Gently cleanses as it actively nourishes & strengthens coloured, highlighted or permed hair, infusing it with protein & Vitamin B5 (Panthenol). Perfect for fine, thin hair needing maximum strength & volume. Vitaplex Conditioner has been specially developed to enhance the effects of your Vitaplex service. Formulated with RAV19 and nourishing Shea Butter, Argan Oil and Panthenol, this luxurious silicone-free, daily conditioner replenishes the hair, leaving it strong, supple and beautifuly radiant. Colour Lock technology and UV filters help to extend colour life and protect against the environment.